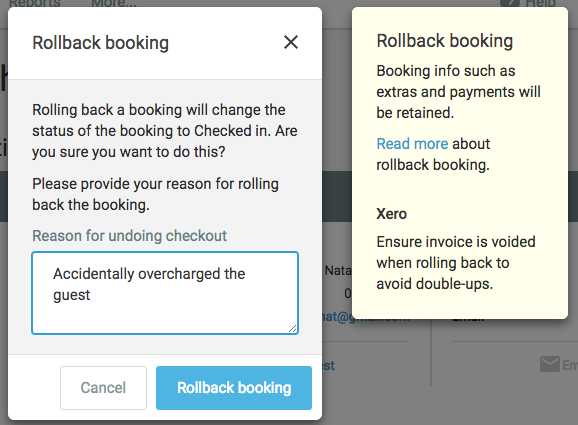 Open the reservation in Preno, and then click the Rollback Booking button on the top right hand corner. If you are on a cancelled booking, this will be under More. Enter the reason for the rolled back reservation - this will be saved in the booking history. You'll now see an error message in the top right hand corner of the screen - this will have a direct link to the old invoice. Note: If you dismiss this notification, you can still find the link to the old invoice in the Booking History. 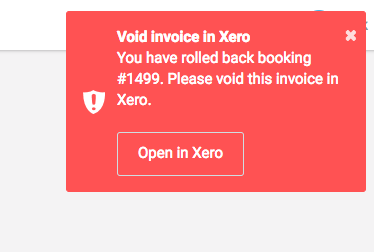 Click the Open in Xero link on the message. 2. Voiding the payment in Xero. 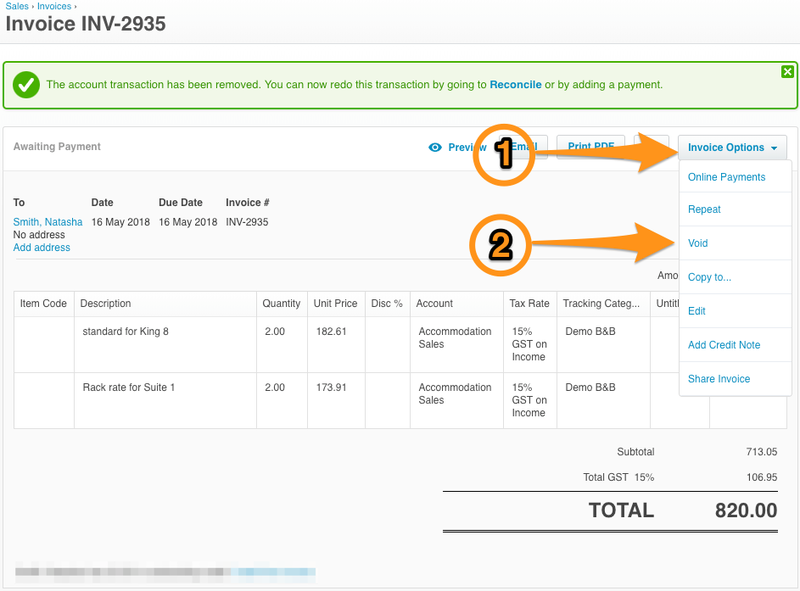 If you took a regular payment, then you will need to void it by using Remove & Redo in Xero. If you didn't take a payment, or only took a deposit, you can ignore this step. 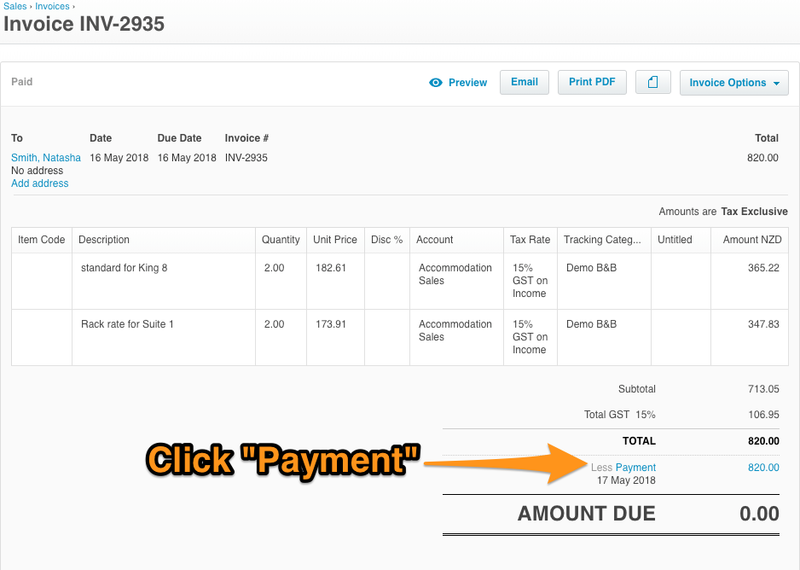 Click on the Payment on the Invoice in Xero. You'll be taken to the page for the actual transaction now. Click on Options and then Remove & Redo. 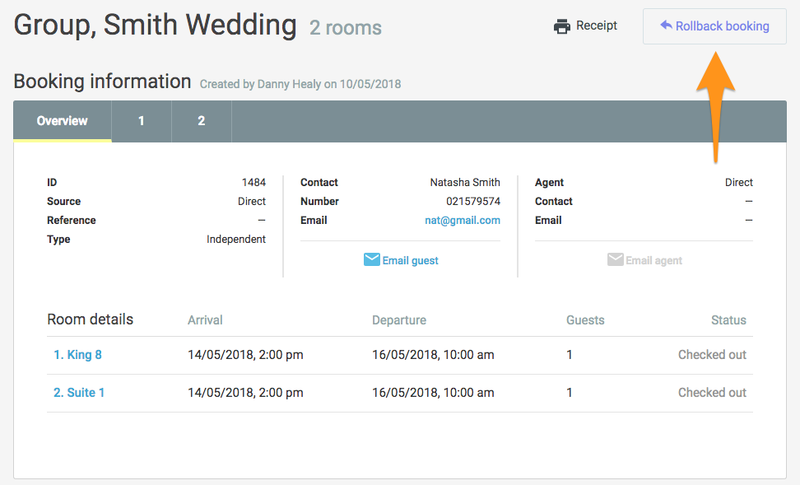 If you have taken a deposit for your reservation, you'll need to remove the link between the deposit and the old invoice. The deposit will still remain, but the credit on it can now be used when you check out the booking again. 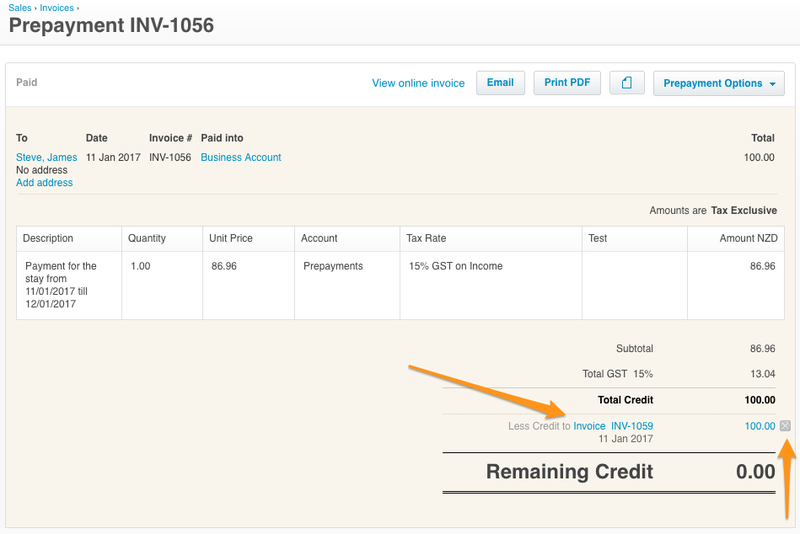 Click on the Prepayment, and then click the grey cross next to the line where it says Less Credit to INV-xxxx. Go back to the invoice. 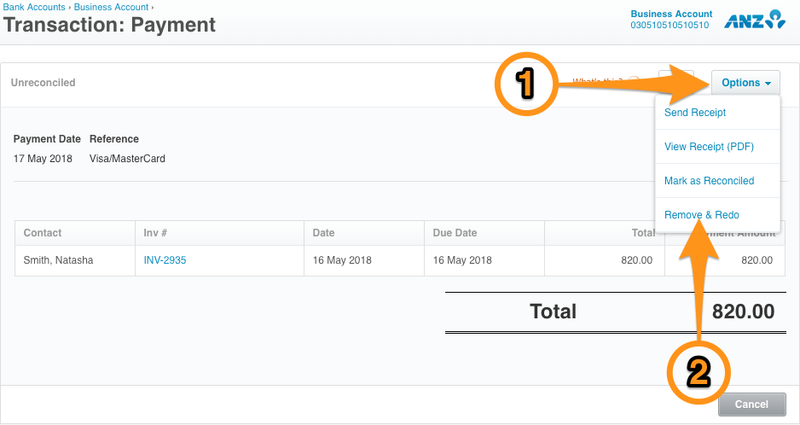 Click Invoice Options and then Void. You'll be asked to confirm that you want to void the invoice - click OK.